ISLAMABAD, Aug 4 (APP): Rain-thunderstorm (with isolated heavy falls) is expected at scattered places in Sindh, Lower Khaber Pakhunkhwa, Eastern Balochistan, South Punjab, FATA and Kashmir in next 24 hours. Rainfall is likely in Sindh at Mirpurkhas, Hyderabad, Sh.Benazirabad, Sukkur, Larkana, Karachi divisions, in South Punjab at Multan, Bahawalpur, D.G Khan divisions, in Lower KP at D.I.Khan, Bannu divisions, in Eastern Balochistan at Zhob, Kalat, Sibbi, Naseerabad divisions. Rain-thunderstorm is expected at few places in Gujranwala, Lahore, Sahiwal, Rawalpindi divisions, FATA and Kashmir while hot and dry weather is expected elsewhere in the country during this time span. Heat low lies over North Balochistan with its trough extending eastwards. 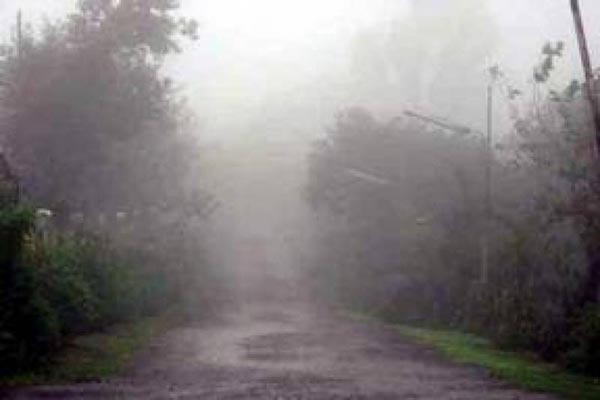 Monsoon currents are penetrating in southern parts while weak monsoon currents are also penetrating in upper parts of the country and likely to continue next 02 to 03 days, an official of Met office told APP. In last 24 hours rain-thunderstorm occurred at scattered places in Sindh, while at isolated places in Malakand, Hazara, Quetta divisions, South Punjab, Kashmir and Gilgit-Baltistan whereas weather remained hot and humid elsewhere in the country. Rainfall recorded during this time duration was Sindh: Diplo 100mm, Chahchoro, Thatta 44mm, Badin 43mm, Mirpurkhas 31mm, Hyderabad 27mm, Chhor 23mm, Mithi 14mm, Sh.Benazirabad 11mm, Dhaheli 06mm, Dadu, Sukkur 03mm, Islamkot 02mm. KP: Kakul 19mm, Parachinar 10mm, Kalam 03mm, Lower Dir 02mm. Punjab: Sahiwal 07mm, Khanpur 02mm, D.G khan, Bahawalpur 01mm. Gilgit-Baltistan: Astore 02mm, Gilgit 01mm.Balochistan: Barkhan 04mm. Kashmir: Rawalakot 01mm. Maximum temperature recorded on Thursday were Turbat 46øC, Nokkundi 41øC, Sibbi, Lasbella, Sh.Benazirabad and chillas 40øC.